You'll be in Fennville, Michigan this weekend, right? Well be sure to check out this weekend's big event, PORKAPALOOZA, the all-day festival celebrating local brew, local music, local BBQ and a host of other local goodies. "Just when you though Saturday couldn't get any fatter...Porkapalooza"
What a great name for an event. 1. 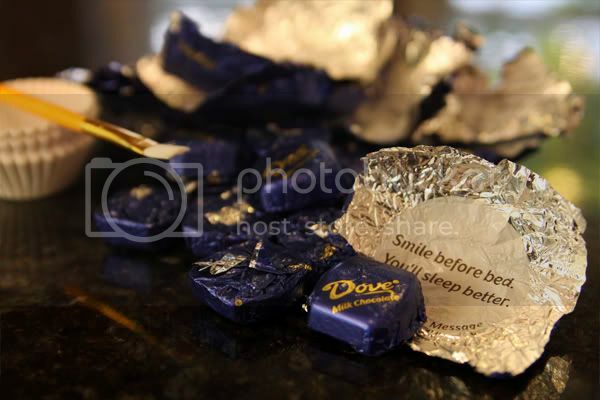 Unwrap half of the bag of Dove chocolates. For those of you that have a framed photo of a kitten in a coffee mug somewhere in your home, be sure to enjoy the multitude of happy-go-lucky, Zen phrases hidden beneath each chocolate piece. 2. In a double-boiler, melt the Dove chocolates with half of the semi-sweet and white chocolate chips (about 17 Dove squares along with 1/8 cup each of the chips). 3. 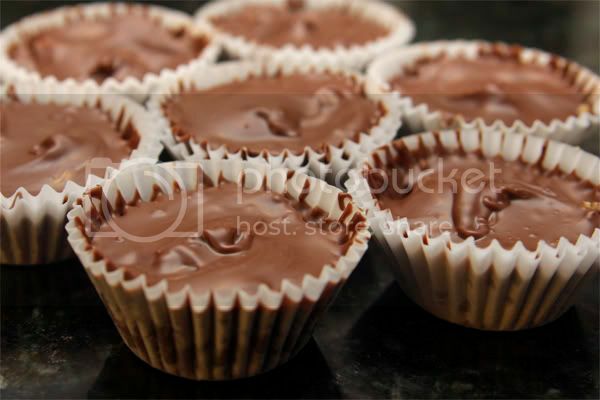 Line a mini muffin tin with mini muffin papers (these ingredients make 12+ mini cups). Spoon about 1/2 to 1 teaspoon of the melted chocolate into each muffin paper. Keep the papers inside the tin - I've tried this several ways and the tin gives it the most stability. 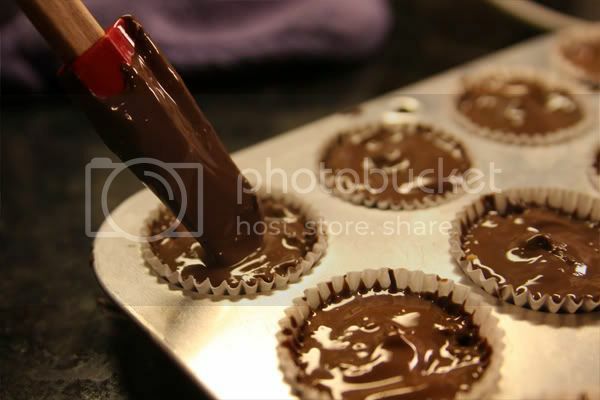 Use a small paint brush to stir the chocolate around the base of the muffin paper, then "brush" it up the sides. Place the tin in the refrigerator to chill for about 30 minutes. 4. In a small saucepan, melt together the butter and peanut butter over low heat. Stirring constantly, add in the vanilla, the powdered sugar and the graham cracker crumbs. 5. 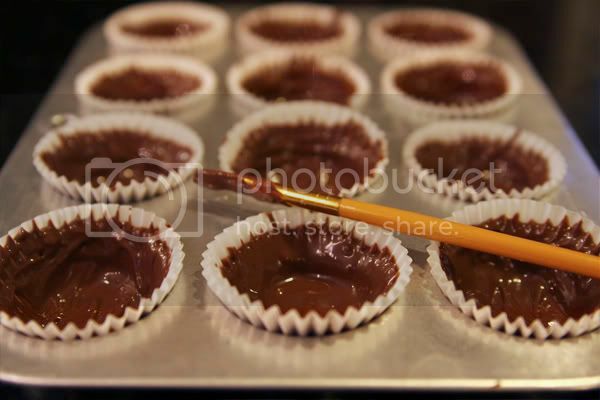 Spoon about 2 teaspoons of the peanut butter mixture into each chilled chocolate cup and use the back of the spoon to press the mixture flat. Place the tin back in the refrigerator to chill for another 20 to 30 minutes. 6. Melt the remaining chocolate (the rest of the Dove chocolate squares and the remaining 1/8 cups of the semi-sweet and white chocolate chips). Spoon in about 1/2 to 1 teaspoon of the melted chocolate to fill and top each cup, spreading the melted chocolate to the edges. Chill the cups for at least 1 hour to allow them to set. ...or maybe this is how it all went down. Are you ready for the election season? 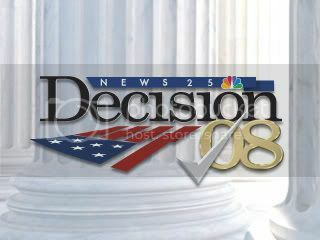 It is what the media is tabbing Decision '08. Are you conservative? Are you liberal? Do you vote independent? You may be thinking, "I thought this was a food blog, not a political blog". Well, you are right. That is why we need to cast our votes for either Bacon or Fries. Here is some old school Panic for ya! Okay, so it's been a while since we've had an ANCILLARIES post. I used to have all of this free time to cook fun things for you...what happened? 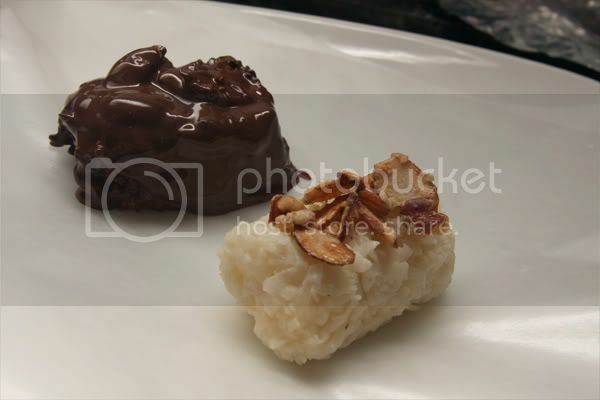 Well, recent conversations over a favorite treat of mine prompted this adventure in candyland: the homemade Almond Joy. 1. 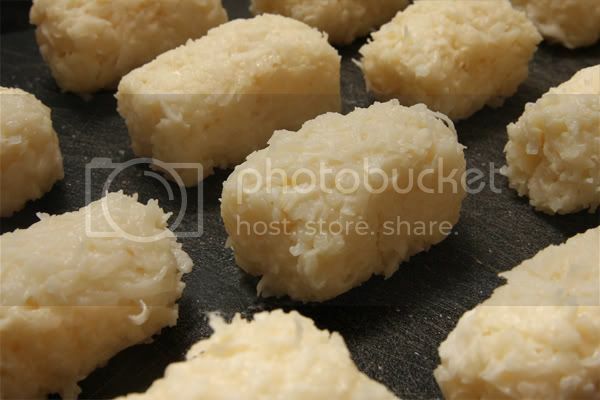 Combine the condensed milk and vanilla in a large bowl, then slowly begin stirring in the confectioner's sugar. Add small amounts at a time, stirring until the mixture is smooth. Stir in the coconut, then cover the bowl and refrigerate the mixture until it is firm (about an hour). 2. While the mixture chills, lightly toast your almonds in a skillet with sugar and set them to cool on wax paper. 3. Remove your coconut mixture from the refrigerator and roll it into little bars - think about shaping the pieces into the size of those small "fun size" candy bars. 4. 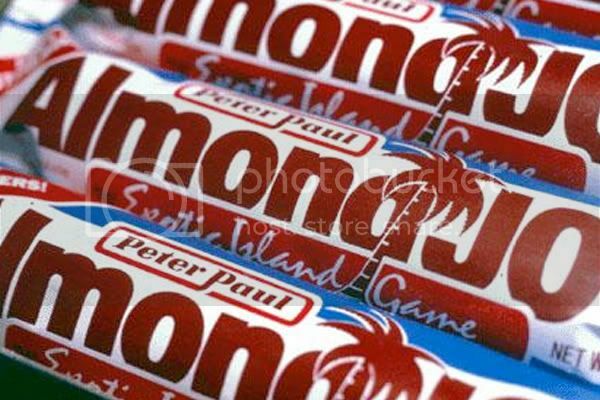 Press your toasted almonds into the top of each coconut bar. 5. Melt your milk chocolate and semi-sweet chocolate together in a double-boiler (or in a a metal bowl over a saucepan of boiling water). 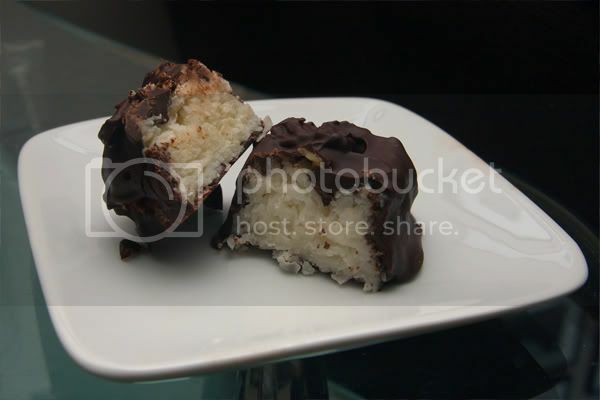 Roll each coconut bar in the chocolate to coat the outside. Tap off the excess chocolate and place the bar on a wax-paper lined plate. 6. 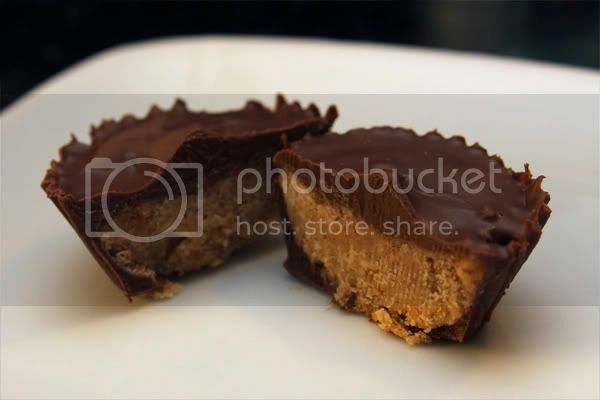 Refrigerate the candy bars for at least 2 hours to allow the chocolate to set. 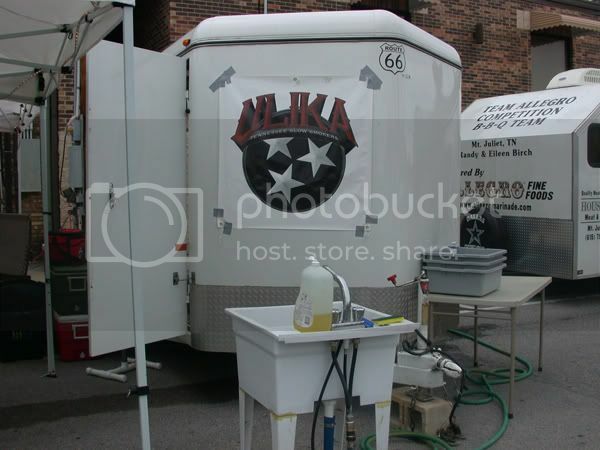 Team Ulika closed out the bbq season with a contest in Cookeville, TN. This was the 19th year for the event put on by former KCBS president, Tony Stone. Tony started this contest as a hamburger cookoff at Tennessee Tech. Now, 19 years later, it has developed into a very fine KCBS event that coincides with the city's Fall Fun Fest. The weekend festival featured bands**, inflatable games, local interest booths and craft vendors. There were the standard festival food vendors as well as an Indian food vendor which seemed strange in a small Tennessee town festival. BP and I arrived on Friday morning and eased into our spot just north of the town square. 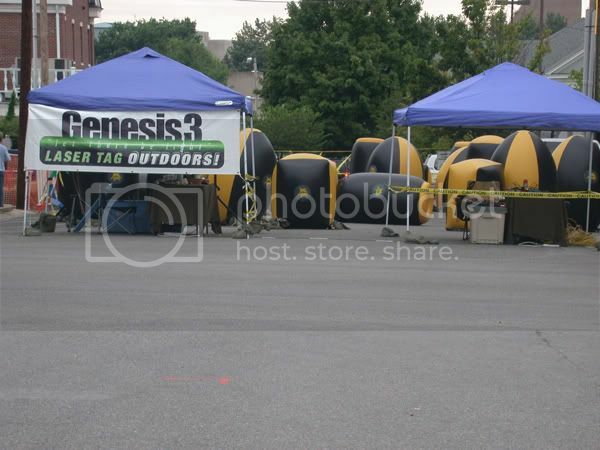 The other teams were scattered about in a large parking lot and along the city streets. We were next to The Dead End Society, who had just received an invitation to The Jack. They won the Cookeville event last year and got drawn as a wild card. We also caught up with our friends at Team Bobby-Q. As they were visiting with us, I realized that I had not brought any lump charcoal for my BGE. Luckily, Bobby had packed an extra bag and they hooked me up big time! Bobby-Q had also just been invited to The Jack and we look forward to seeing them in Lynchburg later this fall. Later in the evening we enjoyed some margaritas and food provided by Paul of BigBriq.com. Paul works in the liquid smoke business and as one of the factories is near Cookeville, he had several people out to enjoy some bbq and drinks. Paul also sells and markets some of the best charcoal around. 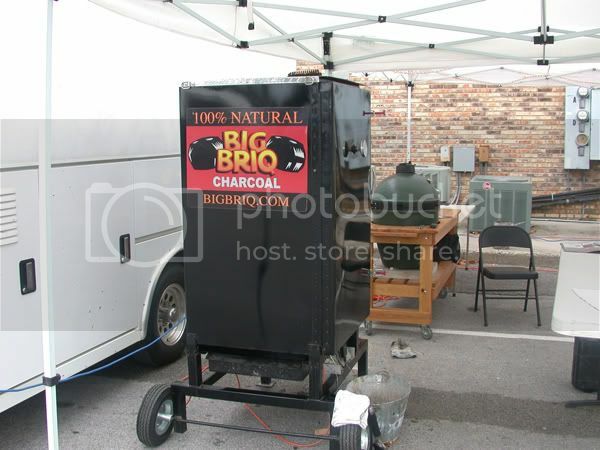 His Big Briq charcoal is a lump briquette that burns clean and has no artificial binders. It is the prefect charcoal for my Stumps gravity feed smoker. ** Note: The only problem with having "slash" events (i.e. KCBS cookoff / fall fest) is the inevitable obstacle course through which one must maneuver in order to turn in the meat. During this Saturday's turn-in, BP (always the team walker) had to wade through an inflatable laser tag arena, a skate park and...a death metal band. Yes, death metal. Yes, at 12:00 in the afternoon. Yes, at a street festival in downtown Cookeville. 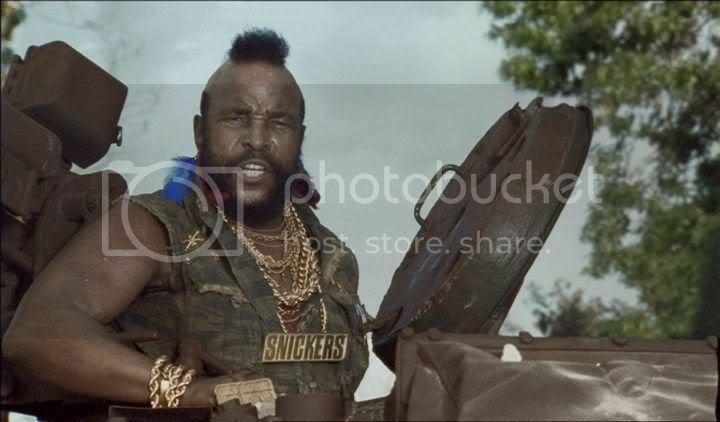 Mr. T is now endorsing the FlavorWave Turbo, and I literally pity the food. I really like the time elapsed cook. They may need a lesson from Dr. Carl Winter after they put cooked meat on the same plate they put the raw meat on. For those of you that don't regularly read the bbq forum, I have the odds on The Jack. The 2008 Jack Daniels World BBQ Championship odds. 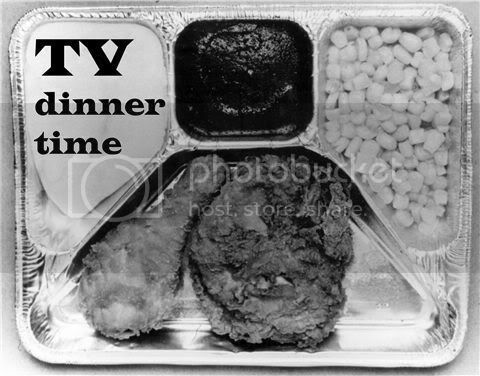 The TV Dinner was the start of a decline in culinary standards within the home. 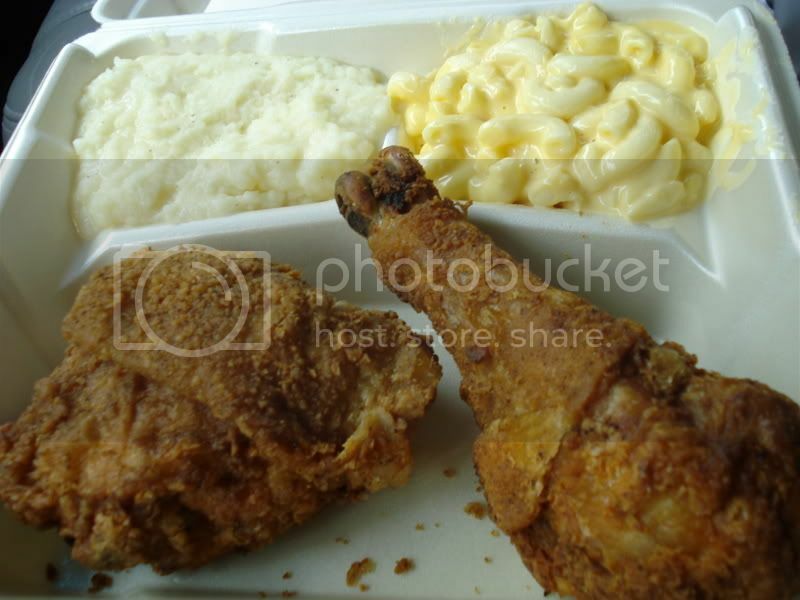 Once people were able to have fried chicken and corn in two and a half minutes, quality was thrown out the door. The folks at Swanson's didn't mean any harm when they rolled out that aluminum tray in 1953, but they took the first step down a frightening road where pre-portioned convenience would reign. 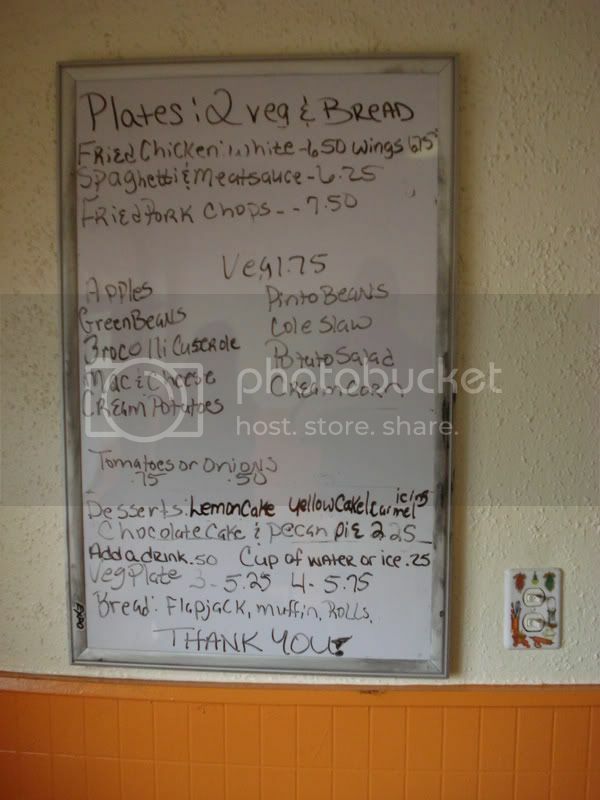 It began with the dinner entree, then the addition of a dessert section, and by the late 1960s, breakfast was served. But in 1986, the epidemic became far more serious when TV Dinners became microwave-friendly. Ever since, it's been Hungry-Man this and Stouffer's that...not to mention the Healthy Choice and Lean Cuisine options. It's bad enough that people are willing to accept rubberized Salisbury steak, let alone diet Salisbury steak...but no amount of convenience, speed or even cost-efficiency can make up for that hideous microwave meal SMELL. It's the distinct stinch of your office break room. Apparently, however, ZZ Top is into TV Dinners. I guess those records aren't selling like they used to. For a while now, I have been wondering what happened to one of my favorite local meat-and-threes* - Carolyn's Homestyle Kitchen. It used to be downtown in the Baptist Sunday School Board building on Charlotte Avenue, but a few months ago I went in and Carolyn's was gone. Lately, restaurant closings have become a regular occurance here in Nashville, so I assumed that another one had bitten the dust. 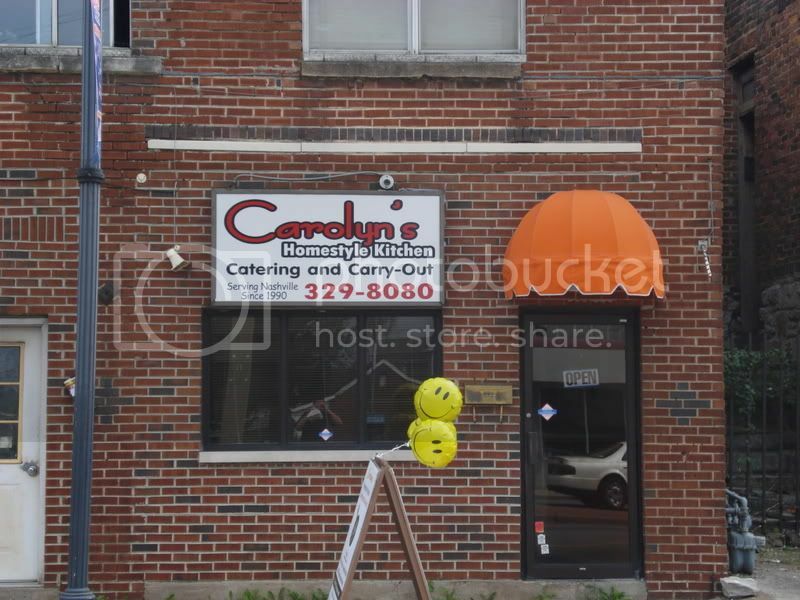 But I was pleasantly surprised to learn recently that Carolyn's has reopened in a new location. They are now on Jefferson Street near Fisk University. I'm happy to report that the food seems to be as good as ever. As with most meat-and-threes, the menu changes daily. In this case, it's written on a dry erase board. I got fried chicken, with mashed potatoes and macaroni-and-cheese (two starches - yep, that's how I roll) and a cornbread "flapjack" (not pictured). The fried chicken was crispity crunchity and perfectly seasoned. This is among the best fried chicken you will find in Nashville - so good. The potatoes were obviously made from scratch, with chunks of soft potato mixed in amongst the creamy puree. And the mac-and-cheese was spot on. All in all, it was just as good as I remembered it. I can't wait to get back and try some of my other favorites, including the fried pork chops, which looked delicious. In a city that seems to have a meat-and-three on almost every corner, Carolyn's is one that you don't often hear about - it flies under the radar. But as far as I'm concerned, it's right up there with the best. *meat-and-three = a "meat" (i.e., an entree) and "three" vegetables (i.e., side items). I sometimes take for granted that people know what this term means. Curiously, on the Carolyn's website, they refer to themselves as a "meat-and-two". This just in: diversifying into the meat business isn't just for country stars anymore. Apparently, Tennessee Titans quarterback Vince Young is getting in on the act, introducing a line of smoked meat products. For now, it looks as though his smoked sausage, brisket, and ribs are only available in his native Texas. But with the way things have unfolded in the last 48 hours, I'm not sure how much barbecue he'd be selling to Titans fans. To our readers in the Lone Star State, if you have a chance to try it, please report back. Here are the quick results from Cookeville. I will post a full review later. The 20th Annual Jack Daniel's World Championship Invitational Barbecue Contest takes place on October 24-25 in Lynchburg, TN. Today, they held the "draw" that determines which teams will get an invitation. To get into the "draw" you must first be a Grand Champion at a state qualifying event. Some states only have one contest and its winners are automatic qualifiers. In states with more than one qualifying competition, only one champion from that state is chosen - literally, by having their name "drawn" from a hat. You can get an automatic bid though by winning 7 qualifying events in one year, winning Memphis in May, winning the American Royal Open (over 500 teams) or winning the Houston Livestock Show and Rodeo Barbecue competition. Lastly, the newest way to get in is by being a 10 year qualifier. This is the most sought after invitation in the bbq community, and The Jack is the premier contest in the bbq world. Congrats to all that got their name called today. Here is a list of the teams that will be participating in the 20th Annual "Jack". I can't wait to cook in this event one day. Until then, I will just have to be a spectator. 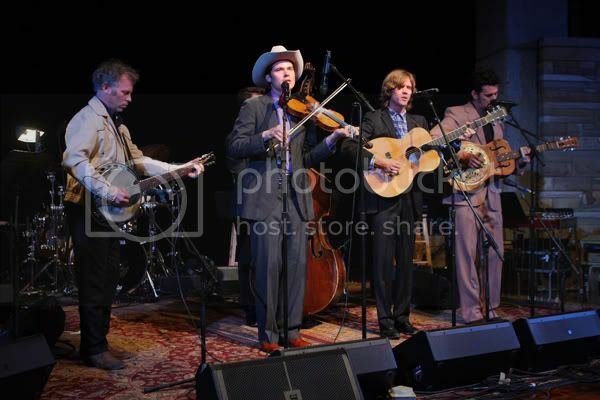 Today I am running short on time, but I have a great tune from Old Crow Medicine Show for you. OCMS hails from Nashville and they tour all over the world. They put on a great live show, so check them out sometime. Palm trees. 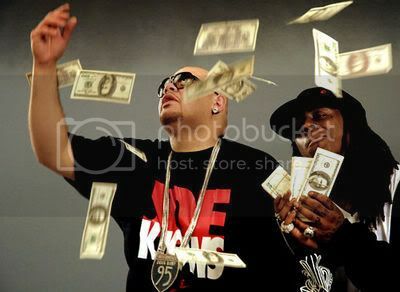 Dollar signs. Faux-Tuscan kitchen sets. As bold typefaces flash across the screen outlining easy payment installments, you enter the world of the infomercial. If it's not a get-rich-quick system or some form of exercising / bodybuilding / appearance enhancing / weight loss solution, it’s the world’s newest cooking device. 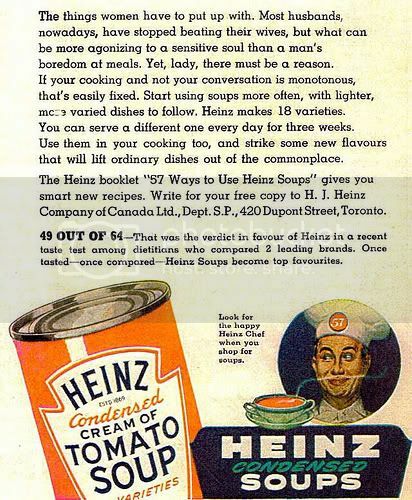 As the wife of my former employer had quite an appetite for home shopping, a number of these fine products made their way onto my desk then into my kitchen on birthdays and holidays. 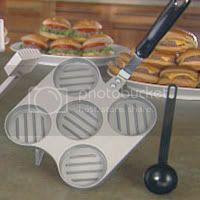 Here's a look at a few of the food and cooking novelties...as seen on TV. Just pour your ingredients inside this newest incarnation of the George Foreman grill and in just minutes you'll have a piping hot meal with that rich burnt plastic smell! Does it look well made on television? Rest assured, it isn’t. Teflon flakes become featured special ingredients in most of the 101 recipes. The two half-moon cooking pods are much smaller than they appear in the land of happy infomercial magic as well...and isn't it a little less than appetizing to have EVERYTHING come out as a compressed semi-circle? Maybe some find it comforting. 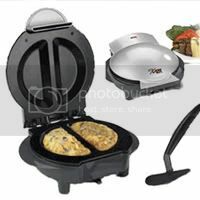 From brownies to omelets, it sure does cook your food fast though...reminding you that good things comes to those who wait. 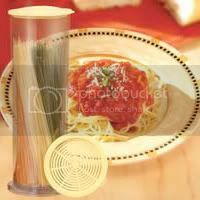 While the infomercial speaks of revolutionary insulation, the Pasta Express is nothing more than a big plastic tube. Besides being an overly tall and oddly shaped device that doesn’t fit very well in your cupboard, it does nothing. And how exactly is it a faster, express tool? Tired of waiting for water to boil, you say? You still have to boil the water! You are, in fact, adding a step as you have to boil the water in another pot or kettle then awkwardly pour the steaming hot liquid into the tube in order to make your gummy, half-cooked noodles. I did try to use the device for other things. I made red drink in it a couple of times, but it doesn’t even work well as a pitcher because it lacks any kind of pouring spout. 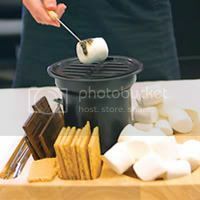 The Gimmick: What could be more fun than making fresh, hot S'mores right in the convenience of your own home? Despite the fact that the name wizard implies some sort of magical, supernatural S’More-making abilities…you essentially get a sterno candle with a metal grate. And in addition to the marshmallows, that high-quality coating on the metal grate likes to burn too! It does arrive stocked for your first use, coming with stale graham crackers (half broken / half crumbled), rock hard marshmallows and white chocolate (not actual white chocolate, rather milk chocolate that’s turned powdery white from seasons spent on warehouse shelves). You can make your indoor S’Mores with a candle and much fresher ingredients instead, but it still isn’t the same without the campfire. Making hamburgers on your stovetop in two minutes? Scooping ground beef directly from the package to the pan with no seasoning? Even before the mention of “veggie burgers” in the ad, I knew there was no need to own this product. The Gimmick: Does any job in 10 seconds…or less. If you google magic bullet, in addition to stumbling upon various JFK conspiracy theories, you’ll find an informercially-born product that is actually worth the three easy payments. 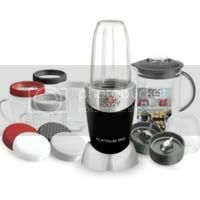 As a cross between a blender and a food processor, the bullet has both a flat blade (for whipping and mincing) and a bent blade (for chopping fruit and veggies and crushing ice). It isn’t as heavy duty as your standard kitchen food processor and it walks too fine a line between chopping and pulverizing things like cheese, garlic, and onion – but it’s a good tool for making dips and spreads and an excellent tool for making margaritas, daiquiris, smoothies and the like. The design makes it pretty easy to use, store and wash, too. 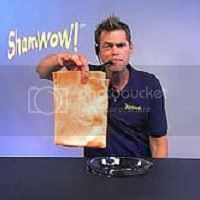 The Gimmick: You'll say WOW everytime. So, what have you tried? 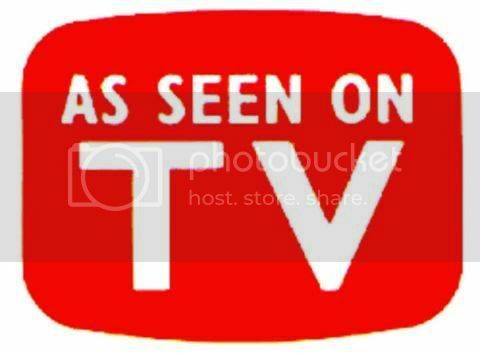 Labels: accessories, As Seen On TV, there's no tube like youtube, trainwrecks, what?